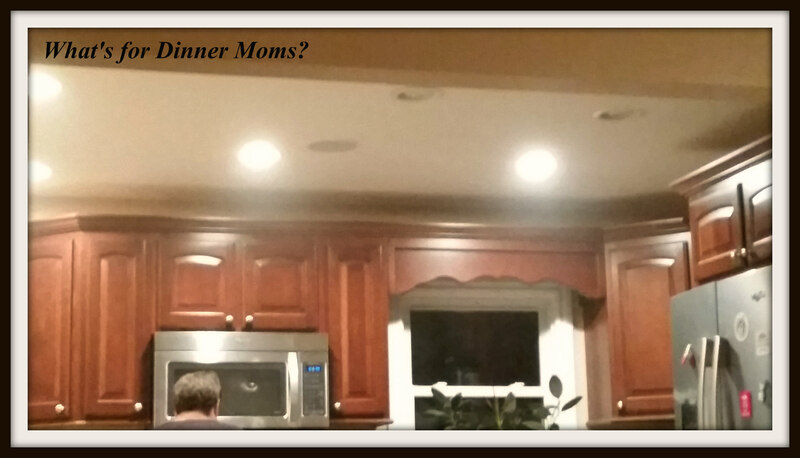 One of Those Nights You Want to Cry or Swear – What's for Dinner Moms? We all have “those” days. The days that you sit there at the end with your head in your hands wondering where it all went wrong during the day. The other day was busy. Too busy. When we got home late (notice the darkness out my kitchen windows?) I had my daughter help me try to get something on the table for dinner. We had tried some Potstickers at Costco and she really liked them and had asked if we could get some for dinner one night when things were busy. This was the PERFECT night. I had her put some Potstickers in the pan with a little bit of water. Now speaking of water what you need to realize is at the same time our freezer in the kitchen was leaking water all over the floor. So, we were emptying everything from that freezer into the downstairs freezer and cleaning up the ice build up inside the freezer. I was giving my daughter instructions but not paying close attention as my attention was elsewhere. She really wasn’t into helping with dinner and learned rather quickly that you need to watch pans on the stove. Yes, she burnt her first pan of Potstickers beyond recognition. It is part of learning to cook. We have all done it. My first one, was a pan of corn syrup that I was heating to make frosting. It was charcoal and solid by the time I was done. All of a sudden I looked up and the kitchen was filled with smoke. Yes, that is smoke in the kitchen. Dinner was burnt and the freezer was leaking. After a few minutes of what do we do now? There are nights like this that we just have to order out. 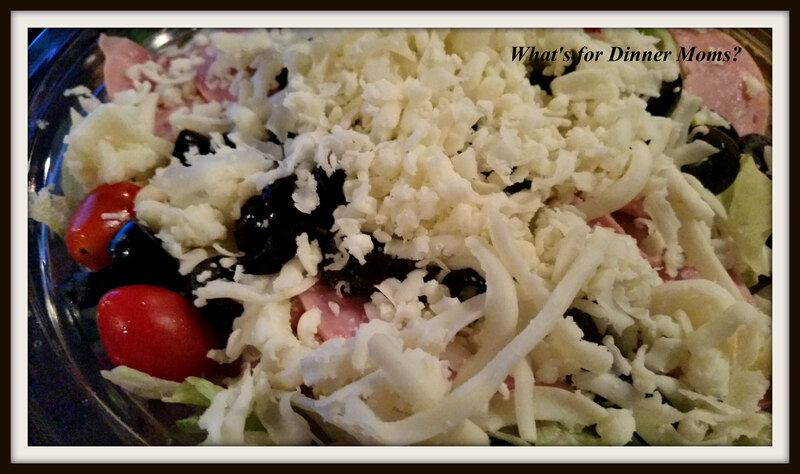 This is the Antipasto salad from our local Jets pizza. It tasted great and had a ton of olives and cheese on it. Could have had more tomatoes but other than that it worked for us. 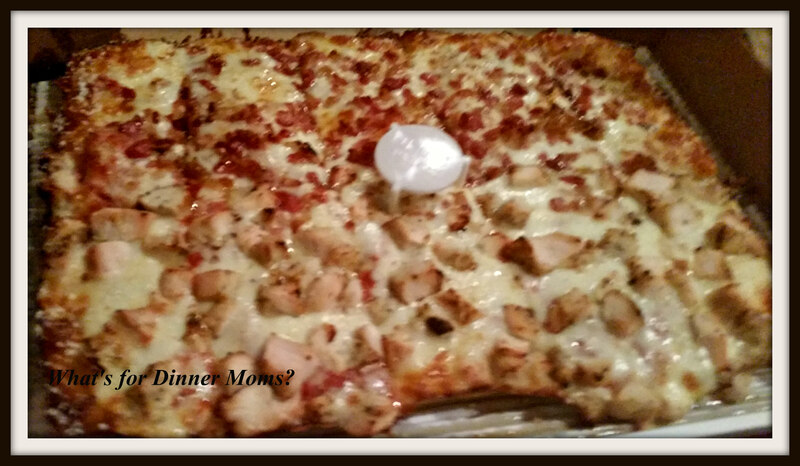 Our 1/2 chicken and 1/2 bacon pizza made the meal. It was yummy! I got the crust brushed with butter, parmesan and garlic. It is amazing!!!! So, we all have nights like this. I used paper plates and everything to serve the meal on. Still waiting for the repair people to fix our freezer but we are moving forward. LOL we have all had kitchen calamity Marci-Hang in there! That really wasn’t a good day was it? Hope it gets better! Oh yes we all do have nights like that. Dinner looks yummy! Oops, wrong post. I hate my phone! Already following your new page! Ugh I hate nights like that Marci! Thank God for pizza delivery!!! Yes! This was the first time in 4 years we used it! Thank you! Thankfully we have a chest freezer in the basement. What are Potstickers? I’ve never heard of them before. Pizza and antipasto salad looks amazing. Love takeaway pizza! Potstickers are an “Asian” dish of diced meat, sometimes cabbage or onions and spices like ginger mashed together and then wrapped in a piece of thin dough. They are either steamed or lightly fried and then dipped in a sauce made of soy sauce, hoison sauce and ginger. Ahhhh every days a school day. I’ve never seen them or heard of them in the UK. Sounds yummy though. They are good! I will have to make some and share!